Cream butter and sugar. Add eggs and vanilla. Mix dry ingredients and add to butter mixture. I usually chill my dough in the refrigerator before rolling out, but it's not mandatory. Roll to desired thickness* and cut into desired shapes. Bake on ungreased cookie sheet at 350 degrees for 8-10 minutes** or just until beginning to turn brown around the edges. *I use THIS to achieve uniform thickness. I always use the spacer that makes the thickest(3/8-inch) cookie:) I purchase my cookie cutters from this website too. **My cookies seem to take about 15-18 minutes to bake. It may be because of their size, or my oven. Start timing on the low end because you can always add more time...just keep an eye on your cookies to achieve desired doneness. *(8/20/16) Lately I have been omitting the baking powder and the cookies keep their shape perfectly, but are still yummy! One last tip: If you are having a problem with your cookies holding their shape, it helps a lot if you put them in the freezer on the baking sheet for about 15 minutes before you bake them. I always(almost) double this recipe. After you outline the borders of your cookies, you need to allow them to dry before you fill them in. I usually allow at least an hour. Then you can fill them in...I use a spoon. I spoon some icing onto the cookie and spread it with the spoon. I also use a toothpick. I usually let them dry overnight after this step, just to make sure that they are good and dry! Yep, it's time consuming, but worth it! After they are dry, you can add the details. Of course you need to let them dry again after this final step and then they can be stacked(to store) or packaged:) Hope these tips help out! How are you? I'm going to give this recipe a whirl but just wondered what the best way to store them is? After I put on the base layer of icing and leave them to dry overnight, do I just leave them on the counter uncovered? Then, the day after when I pipe on the details, do I leave for another 24 hours to dry just on the counter uncovered? I'm worried the biscuit will go soft? Then once it's all complete, what is the best way to store them? Sorry for all the questions! Oh my gosh! I LOVE these!!! They are so adorable! These are so adorable. I love all of your cookies....just wondering if this sugar cookie stays soft after you leave them out overnight to let the icing dry or do you need to put them in a container? 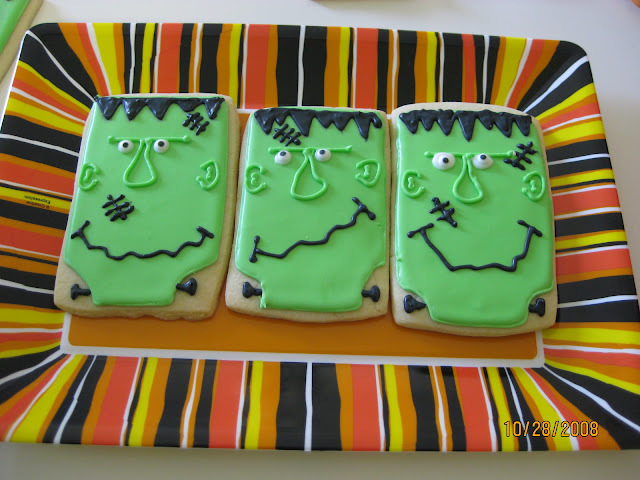 I'm going to have to try this I am not a sugar cookie baker but these are too cute! Thanks so much for the fabulous recipes and tips. I made hello kitty cookies and they were fantastic! Wow, did I go through the meringue powder!! You're right! They ARE No-Fail! Thick and Perfect - Thank you!!! is there an alternative to the meringue powder? This was the easiest sugar cookie and royal icing recipe I've tried yet -- and pretty tasty, too! Thanks! I love the look of your cookies! So gorgeous! While the cookies are drying between colors, do they just sit on the counter or do you put them in a covered container? I learned from a chef years ago to stick my royal icing in the microwave for a few seconds to warm it. Even if I make it with fresh egg white. The icing will spread easier and the surface will dry harder sooner. Thanks for the tip, Cheryl! I didn't see a step to refrigerate the dough? Which is usually customary with sugar cookies...do you? Many times I will freeze the cookies on the baking sheet for about 10 minutes (before baking) if I want them to keep their shape well, or the cutter is detailed. I usually do chill the dough, so will add that. Thanks, Chrissy! Hi! If I dont have meringue powder , how I make the royal icing? I am from Paraguay , and I can't find it here. Thanks. Hey! I made the lemon cookies for my cousin and he LOVED them. Thanks! How do you get your lines so smooth? I can't tell if mine are wobbly-looking bc I'm not piping fast enough or if the icing is too thick. About how much more sugar would you add for outlining and drawing?